What's Poppin' Tonight! 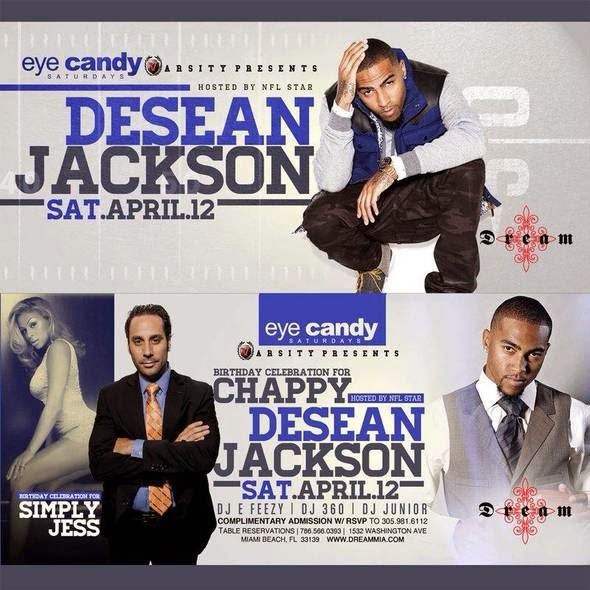 Eye Candy Saturdays Hosted by NFL Star DeSean Jackson + Simply Jess & Chappy Birthday Celebartion at Dream Nightclub ~ Phresh Hott New! Join us at Dream Nightclub as Varsity LG presents Eye Candy Saturdays with NFL Star DeSean Jackson celebrating the birthday of Simply Jess and Chappy at Dream Nightclub.